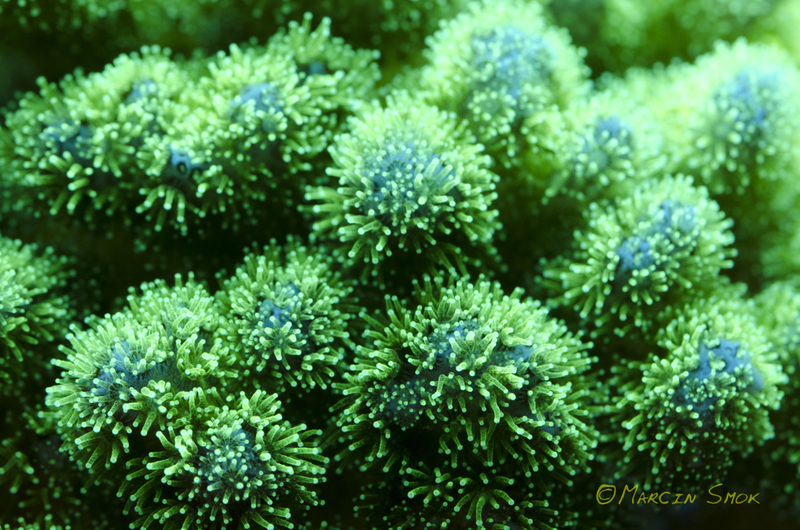 Home / Corals / Into The Blue! 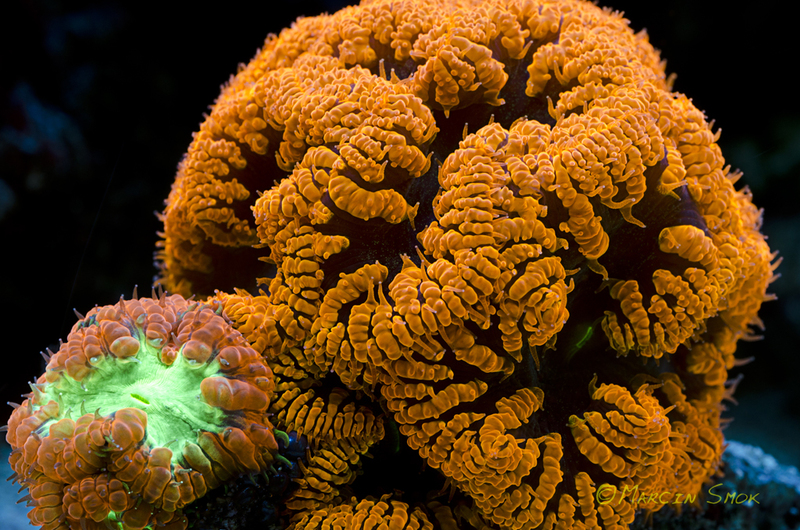 Corals have been kept successfully in captive environments for quite some time and their myriad of shapes and colors draw attention and amaze nature lovers to this day. 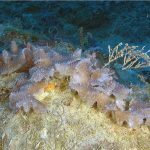 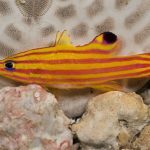 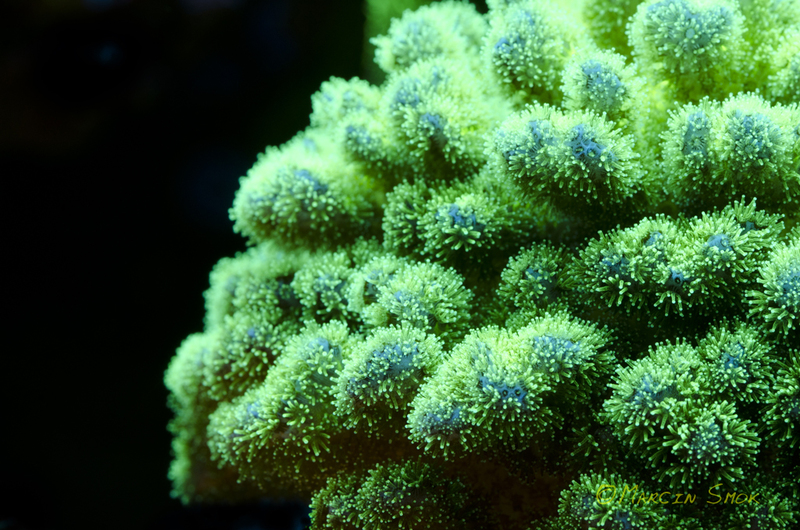 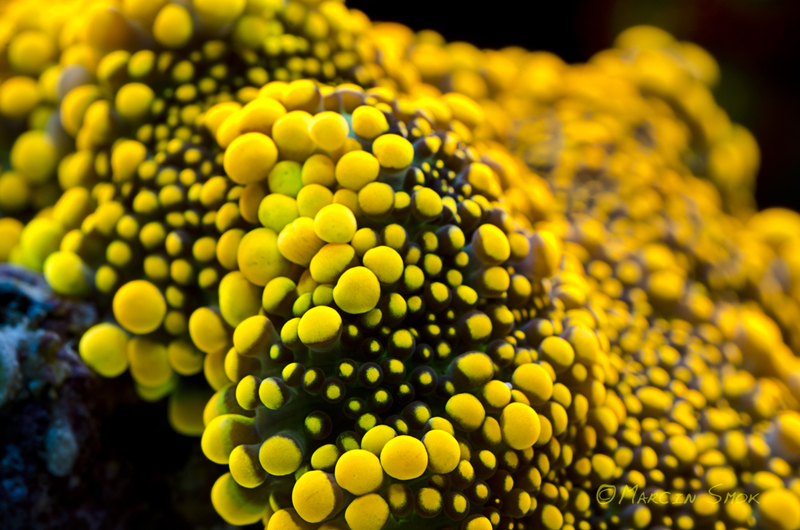 Along with technology advancement, aquarium lighting evolved to match demands of new coral species introduced to the hobby. 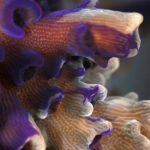 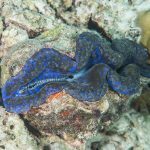 Somewhere along the road someone smart decided to put a blue light emitting diode above his/her tank, therefore changing the way we look at corals forever… All photographs by author The introduction of blue LED opened a world of fluorescence to reefkeepers all over the world. 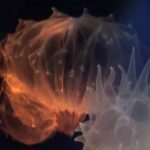 New wave of ooohs and aahs surfaced internet forums and soon after that first commercial moonlights showed up on LFS shelves. 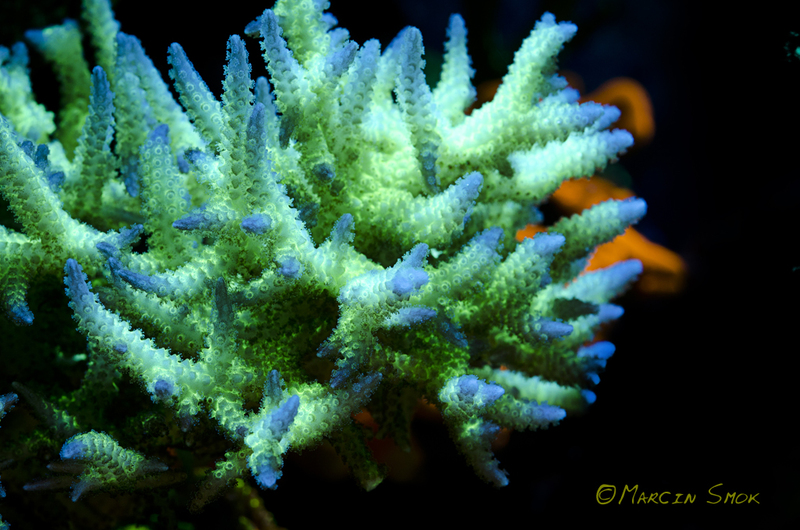 Photographing corals under blue light is not an easy task and without a proper equipment it’s impossible to save all coral hues without “over-blueing” the photo. 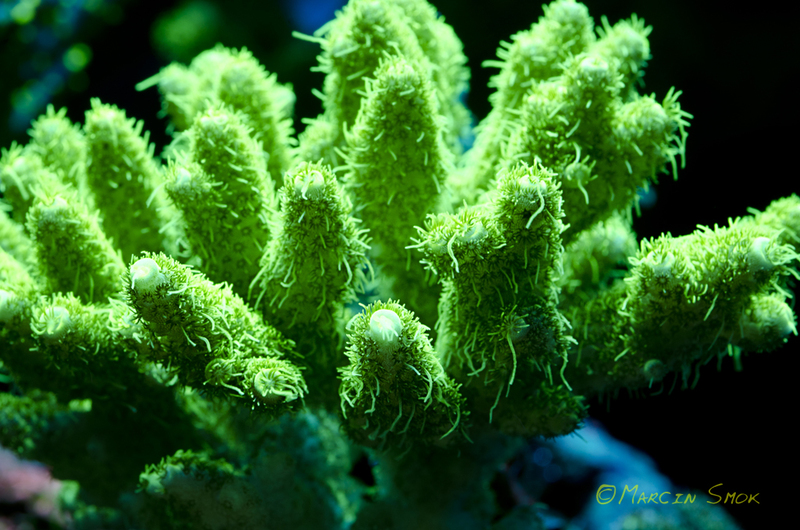 After countless hours of practice, consultations with other reef photographers and experiments with live animals (nobody got hurt) I managed to take a series of photographs showing corals under blue light. 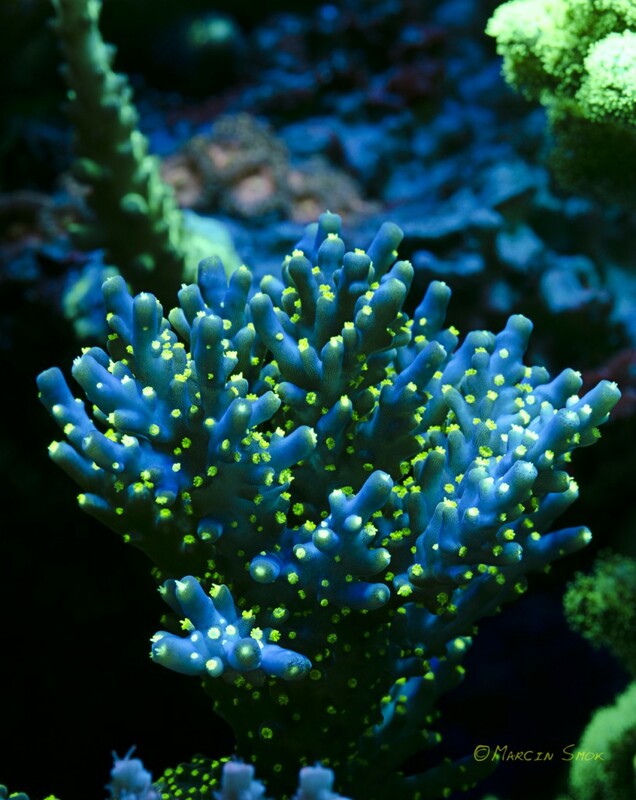 Please don’t mistake blue light photos with the earlier fluorescence pictures I posted in previous posts. 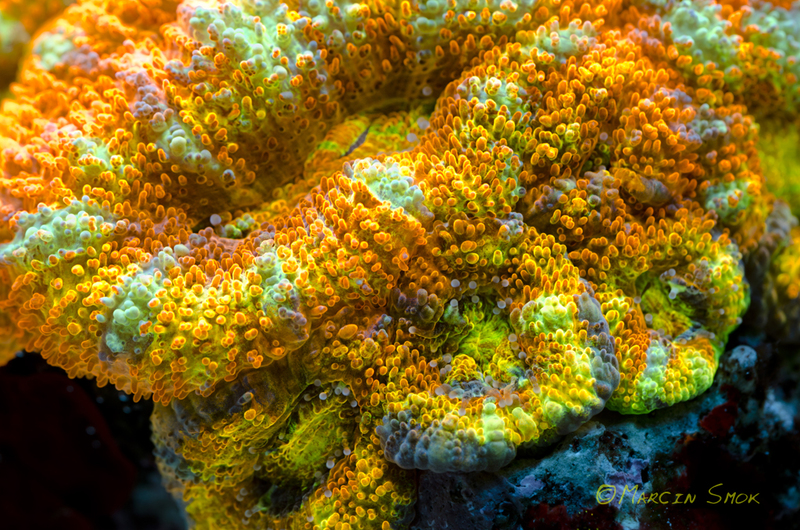 The difference is that with fluorescence photography the goal is to showcase fluorescent pigments in corals by blocking all other light coming into camera’s sensor. Blue light photography filters only the blue spectrum of light while saving the overall scene in the image. 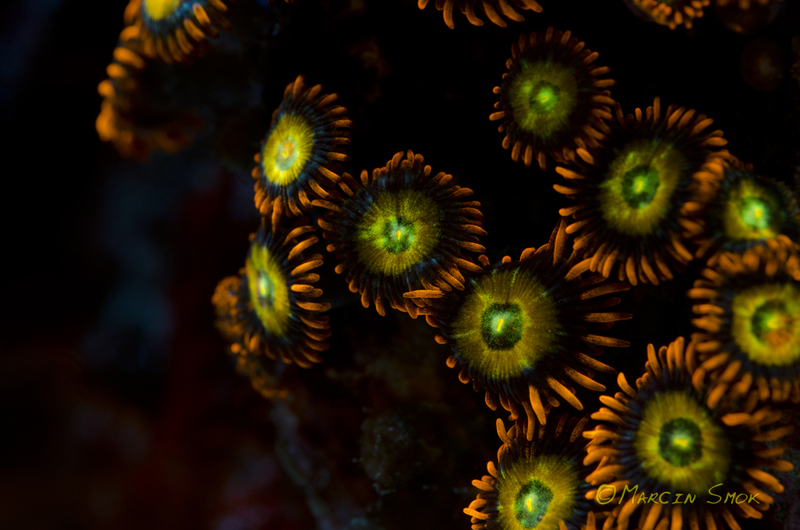 Check my new gallery and comment! 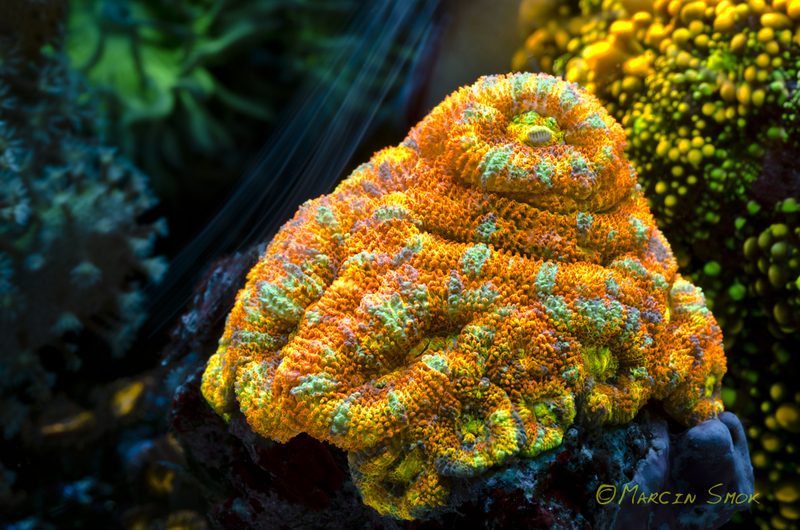 Pictures of Acanastrea close up and ponape birdsnest can be seen and downloaded in high resolution to used as a wallpaper under those links: http://cdn.manhattanreefs.com/blog/wp-content/uploads/2012/03/120203_6159-2.jpghttp://cdn.manhattanreefs.com/blog/wp-content/uploads/2012/03/ponape-bidsnest-2.jpg And please let me know if you would like to see any other pictures in this gallery as download-able wallpapers.